Jason joined the Lafayette office of Galloway Johnson in 2010. A native of Lafayette, Jason earned his Bachelor of Science degree in Biology from the University of Southwestern Louisiana in 1997. He obtained his Juris Doctor from the LSU Paul M. Hebert Law Center in 2002. 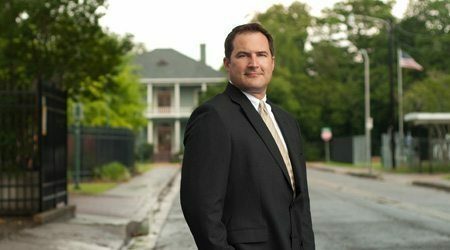 After clerking for the Honorable Marilyn C. Castle of the Fifteenth Judicial District Court in Lafayette, Jason began his practice and developed significant experience in the fields of medical malpractice and workers’ compensation defense, as well as subrogation and general liability. He has successfully defended insured corporations throughout Louisiana in both state and federal court. His practice at Galloway, Johnson, Tompkins, Burr and Smith centers on insurance defense litigation, insurance coverage, workers’ compensation, subrogation, premises liability, environmental law and construction law. Jason maintains an AV Preeminent peer rating with Martindale-Hubbell, which signifies the highest level of professional excellence for legal knowledge, communication skills, and ethical standards. He is a member of the Louisiana State Bar Association, the Lafayette Parish Bar Association and the American Inns of Court of Acadiana. Jason was the 2015 President for the Acadiana Chapter of PIA. He currently serves on the board for the Lafayette chapter of the Tiger Athletic Foundation and the Cathedral Carmel School Advisory Council. University of Southwestern Louisiana, B.S. LSU Paul M. Hebert Law Center, J.D.